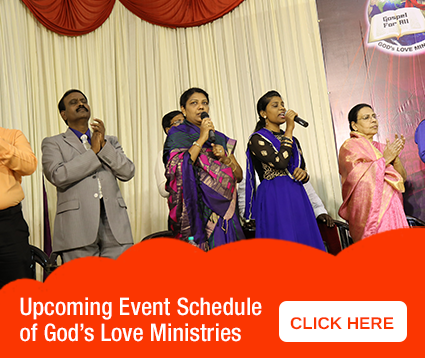 God's Love Ministries > Praise Reports > God blessed the efforts of our hand. God blessed the efforts of our hand. Praise be to God. My name is Deborah. I come from Guduvancherry. My husband had no job for nearly two years. In the meanwhile he had heart problem and had to undergo a surgery. We got into debts due to the surgery and other expenditures. Our house was in debts too. Our house was about to go for auction. With all these problems we came to this meeting . At that meeting, Brother said, “The One who breaks open the barrier is going before you.” So with great faith we returned home. And keeping those words that he had told in the meeting we prayed daily as a family. Within a week my husband secured a job. And somehow we managed to pay our debts. Next month we attended the meeting again to thank God. Brother while praying mentioned my husbands name and said “Roshan you are troubled because of debts. And worried that even though you earn much you are not able to save anything. Hereafter you will be blessed thousands of ten thousands of times”. This word of promise was very encouraging to us. Just as He said we were able to save that which was left over, and God has blessed the effort of our hands. I praise the Lord a thousand times and thank Brother for His encouraging word and prayer.